Travelling is an integral part of our lives. We are curious and active social animals. We have links and connections outside our vicinity. Be it a family trip or get together with friends or a business meeting with an organization, we need to travel. But whatever it might be, we always look for chances to cut down our expenses especially during air travel. Those long distance vacations does costs hefty if not planned out well. With the advancement of technologies today a growing corral of consumer portals searching for available flights and the best deals are witnessed everywhere. For the old users, the process tends to be less stress-inducing. On the other hand, newbies welcome it as some kind of game. Search engine giants like Google and Bing have entered this platform too amongst contrary startups. However, the bottom line is no matter where you plan your trip to, the best deals on flight tickets are only a click’s distance away. According to a research, average Indians go through a minimum of 3 airline booking sites before finalizing on one. 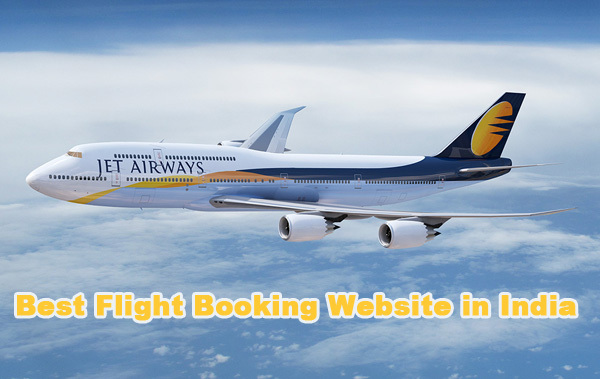 Numerous cheap flights booking website has been crowding the internet space in India today. Hence, with so many options available, air booking in India is no longer a hefty and bigger deal. Be it for national or international travel, all you need to do is to look for the best available options amongst those flight booking sites. Your tickets will be ready with a few simple clicks. ‘Know & Go’ is what the site page says. Probably one of the fast and user friendly travel aggregator site in India, iXiGO gathers the best flight, hotel and bus deals from several sites under one roof. What is most appealing about the website is that the interface used is simple, neat and does not distract user attention unlike other websites. A lot of options are also available to filter your search and land on the best deal. Cleartrip is fast, reliable and user friendly. The site offers the best deals on booking flight tickets providing the best user interface without any annoying advertisement pop ups. Users are allowed to access the best deals with the information to guide them t decide on the best possible flight. The site offers a destination list with all the important locations in the world. What more? The site also includes customized e-mail alerts for best air deal along with mobile search application for smoother search. Consider booking your tickets with Makemytrip. This website through its special offers helps you plan your travel details with efficiency. Some of the awesome features include combined flight and hotel search, bus ticket booking from airport and wonderful holiday packages to make your trip all the more exciting. The ‘Plan Your Trip’ section offer holiday destinations, places to visit and driving directions that are both reliable and fast. Yatra is one of the oldest competitors in this field. The site has a lot of packages to offer on the flight tickets. One of the most interesting one is the frequent flier miles reward given to regular users. Lucky winners can redeem miles for attractive concessions later. The site also has provisions for bus ticket booking, railway seat booking and cheap car rental booking along with air tickets. Deals on corporate packages are awesome too. Ezeego1 is known for its good search interface. It is fast and secure with hot deals, top travel destinations and special offers for its customers, both regular and new. It is an all-in-one site you help you get the best deal on your flight tickets, bus tickets, hotel bookings and even European rail tickets. Travelocity is a world renowned travel portal with the Indian based website providing a basketful of flight booking options. Though the interface is not as awesome as the others, it has a powerful database to compensate them all. It offers some of the best deals in flight booking options along with other perks such as hotel reservations, bus ticket bookings, railway ticket bookings, cruise bookings, hotel room bookings etc. Expedia is new to the Indian business world. However, it has a good impact on the US market. Expected to be popular soon Expedia offers wonderful deals as flight, hotel and travel packages. Goibibo.com is another reliable and fast online travel sites in India. Launched it 2009, it enables travelers with the best deal in air and bus tickets, hotels and holidays packages. Goibibo is best known for its speed and quality of service. It acts very fast when it comes to rescheduling, cancellation and refund of tickets for quality consumer experience. Via.com has silently revolutionized the Indian travel industry through its awesome deals in air tickets and hotels and holidays packages for family outing or corporate businesses. The website was launched on July 28th, 2006 as flightraja.com and incorporated in Feb 2007. Travelguru started off as a hotel booking site and later ventured out with flights, hotel, and holiday package add ons. They include one of the largest hotel networks in India. The site makes all your holiday and corporate trips easier and pocket friendly.